I got this done for my 3 angel babies, as I've had 3 misscarriages, I thought the quote was beautiful. Done by Lianne Moule, of Immortal ink, Chelmsford, Essex, UK. 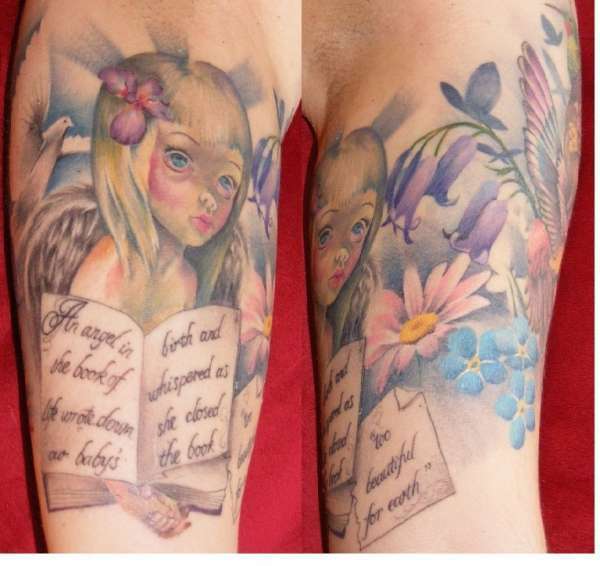 The quote makes this sleeve perfect......beautiful ink on a beautiful person! !